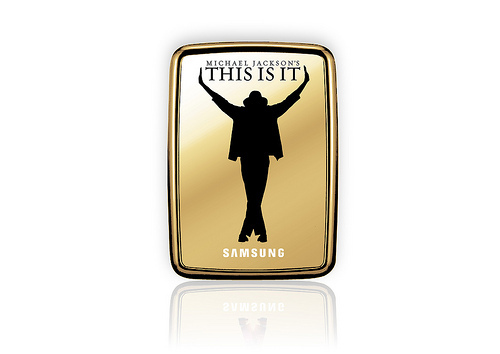 Samsung today announced the Samsung S2 Portable external hard drive, which is pre-loaded with the movie ‘Michael Jackson’s THIS IS IT’. This special edition HDD has a 500GB capacity, USB interface, Samsung Auto Backup and SecretZone™ that encrypts and stores data on a virtual drive as well as SafetyKey™, a powerful data-security function that offers dual data protection through a password. 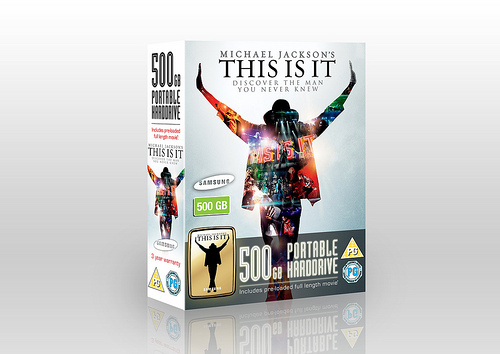 “We are excited to present this movie starring Michael Jackson, the greatest entertainer of all time, pre-loaded on the Samsung S2 Portable,” said H.S. Lee, Vice President, Storage Marketing, Samsung Electronics. The special edition will be available through retailers in Europe from February 22nd. Availability in other regions will be determined following the initial launch.